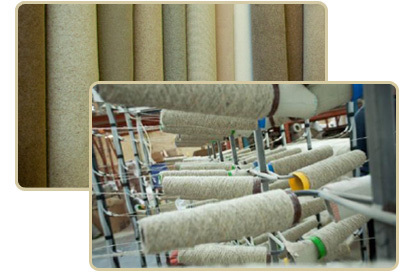 Howkel Carpets are manufacturers of quality wool carpets - made in Huddersfield. We are a family run business focused on great customer service and amazing value for money carpets direct from our own mill. All of our wool and wool blend carpets are available to buy from our Mill Shops on Lower Viaduct Street and in Crosland Moor, Huddersfield. We also stock and sell a range of vinyl flooring, laminate flooring and solid wood flooring. Free Estimates - we offer a free, no-obligation, measuring service and our in-house fitters are available to fit your new carpet or flooring at your convenience. 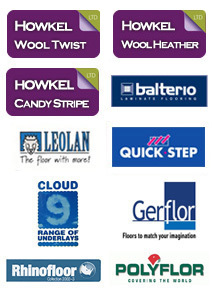 A full range of underlay, grippers and accessories are also available. We always have a huge range of stock available to choose from. Call in to discuss how we can help. Our popular own brand Howkel Wool Twist, Howkel Wool Heathers and Howkel Candy Stripes are fantastic value for money with prices starting from just £5.98 per square metre for remnants and £13.75 per square metre off-the-roll. SPECIAL OFFER - Vinyl Flooring from just £8.36 per square metre !! !